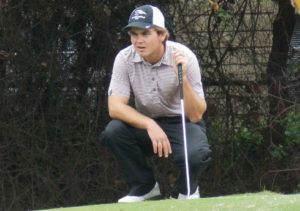 OC's Rigsby wins the Mustang Intercollegiate. Photo provided by the sports information office. For the third time in her Oklahoma Christian University career, junior Abigail Rigsby, who has seen her fair share of post-regulation golf, “conquered” a five-woman playoff to win the Mustang Intercollegiate on April 6 at Palm Valley Golf Club in Goodyear, AZ. Rigsby, a native of Courtenay, British Columbia, won her second collegiate tournament of her junior campaign and her third tournament of her career─the first coming in the Oklahoma Intercollegiate at Lawton Country Club in Lawton, OK, earlier in the fall semester. 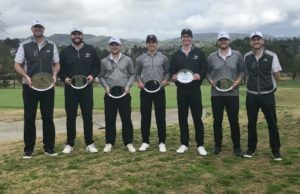 Rising from a four-person playoff to claim the title at that tournament, Rigsby also won a playoff at the 2017 NCAA Division II West Super Regional to earn a spot in the Division II Championship two years ago. 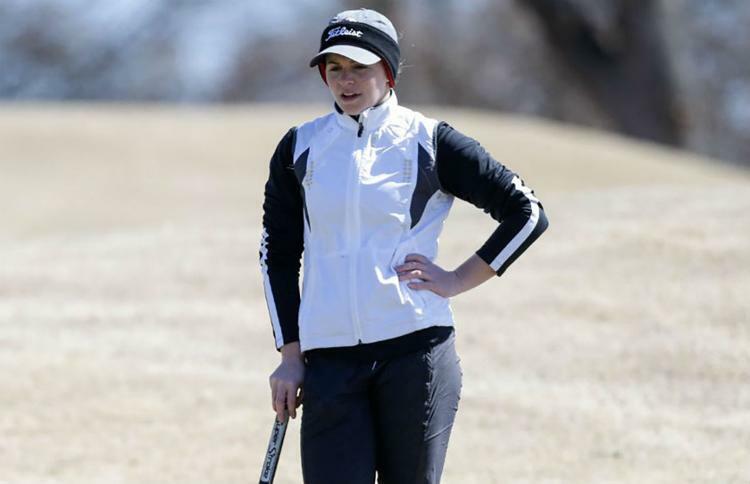 The individual win was the 20th by an Oklahoma Christian golfer in the program’s short eight-season history and the fourth of the 2018-2019 season, two wins coming from the hands of senior Kate Goodwin.­ Rigsby’s final score was 1-under par marking the eighth time an Oklahoma Christian golfer has finished under par for the entirety of a tournament. 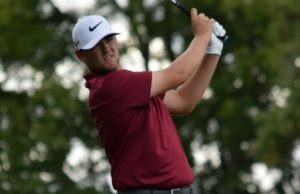 Rigsby opened with a two-under 70 in the first round of the contest and entered the final round in a three-way tie for the lead. She recorded two birdies, one bogey and one double bogey to shoot a consistent round of 73 on the 6,005-yard course. By the end of the final round, five women of the 116-woman field remained, all finishing three shots ahead of the remainder of the group. Rigsby was accompanied by West Texas A&M University’s Jelina Fernando and Holly Winter, Dixie State University’s Katie Ford and Fort Lewis University’s Summer Vigil. The group only needed one hole─a replay of the 18th─to crown a victor. Rigsby sank a birdie putt to claim the trophy. No. 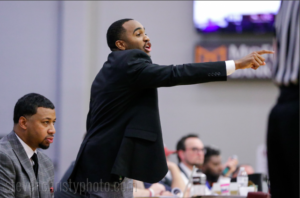 18-ranked Oklahoma Christian finished fifth in the 23-team field. The Eagles posted a 302 team score, closing it out with a total round score of 601, 18 shots behind the winner─No. 5-ranked West Texas A&M. Rigsby, only three days later, led the Lady Eagle’s to a sixth-place team finish in a highly regarded West Texas Desert Invitational at The Lodge at Ventana Canyon in Tucson, AZ. Starting the final round in seventh place, Rigsby battled three double bogeys and two bogeys in her first eight holes. She then rallied behind four birdies in her final six holes to save a six-over par 78 finishing with a final score of 152─14th out of the 85-woman field. Rigsby was named the Heartland Conference women’s player of the week, the second time she has received this honor this season. 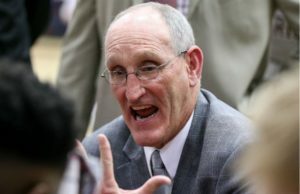 In an interview with the sports information office, Oklahoma Christian athletic director David Lynn said he is pleased with the play of the Lady Eagles and the job head coach Greg Lynn has done. “I am so proud of our women’s golf team and all of the hard work coach Greg Lynn and his players have put in so far this season,” Lynn said. Rigsby and the Oklahoma Christian women’s golf team will now head into postseason play, competing in the Heartland Conference Championship teeing off April 13 at Slick Rock Golf Course in Horshoe Bay, TX.